Available for Macintosh, Linux (i386) and MorphOS! 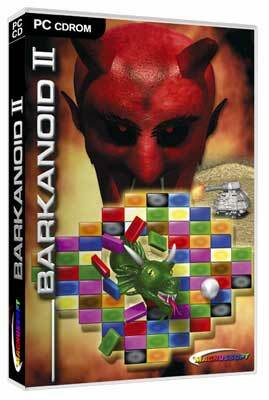 Barkanoid 2 is here! Classic and well loved features have been combined with a couple new and challenging features to create a whole new game experience. You like classic arcade games? Then Barakanoid 2 is definetly one for you! Your task is to destroy all tiles on the playing field with your bat and ball. Several monsters will be in your way and make your job that bit harder to complete. Some tiles contain extras that you can pick up. But beware: Some of the extras will make your job even more challenging. Some of these are even dangerous, so make sure you only choose the right ones. And now: Pick up your racket and get the ball rolling!